MLD46, a highly-acclaimed exclusive housing project, perches like a lighthouse above Budapest. 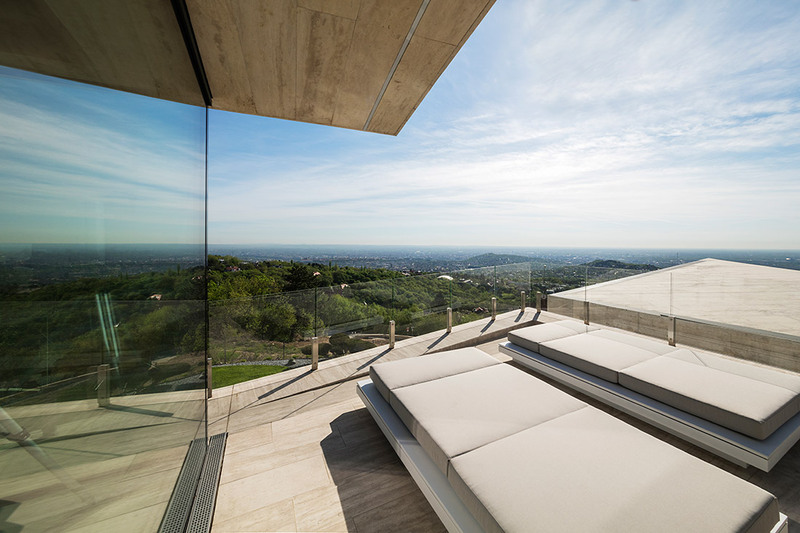 The project consists of three luxury dwellings on a steeply-raked plot with breathtaking panoramic views. Blending into its green environment, with much of it constructed beneath ground, the building however is full of light, distinctive angular, no-compromise design, natural materials, and futuristic facades. 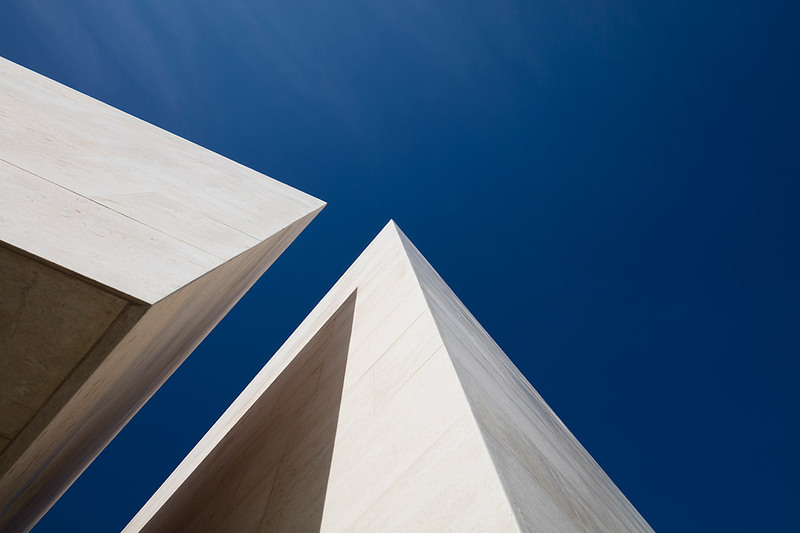 MLD46 represents the new frontier of Hungarian architecture in the 21st century. The building was constructed as a terrace house after the Budapest city zoning plan. The building was designed with a green roof, to be able to hide part of the building mass, so is not emphasized in relation to its size, to be able to consider city-specific. The above part of the building is divided by triangular prism similar to Rubik’s snake, similarly with the original game we have been “cured” the blocks. The somewhat irregular mass of the blocks gives the exterior and interior of the building playfulness space composition. The high ceilings spaces are hidden the community functions of the building like the living room or a dining room. 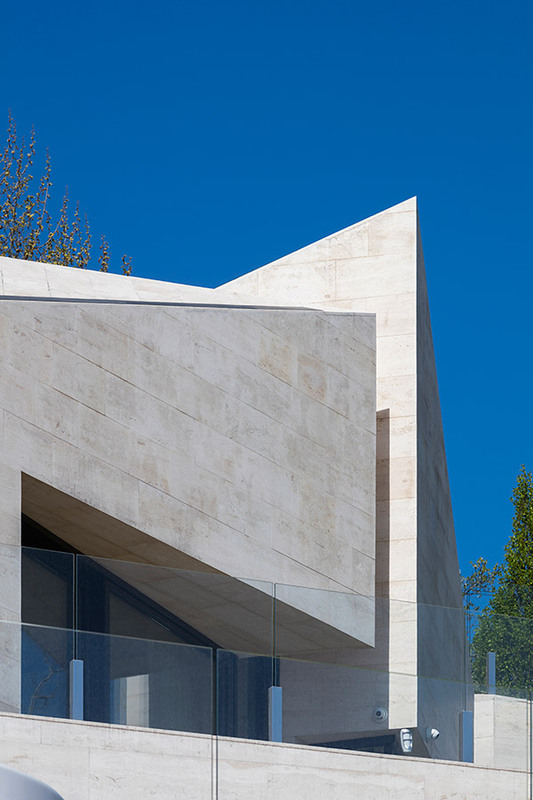 Because of the extreme shape of the building mass, we avoid to use any further architectural gesture, so beside of the openings, doors and windows other architectural elements do not appear on the facades. 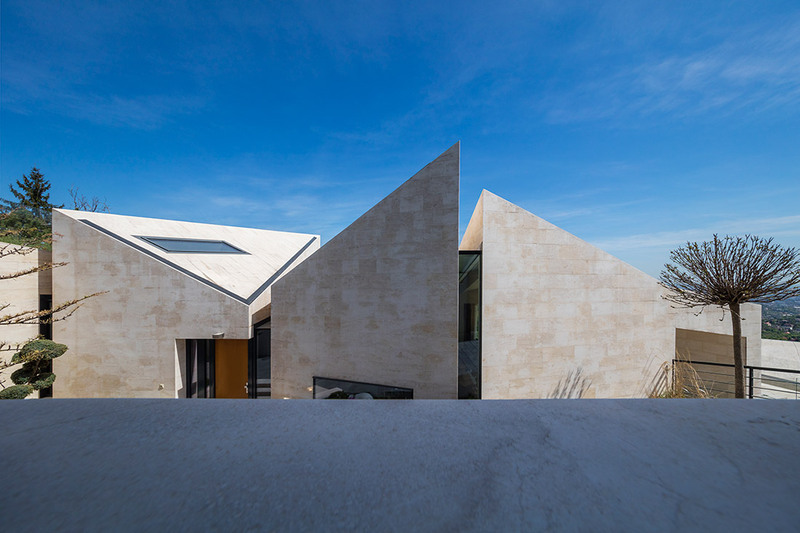 In contrast, the limestone covering homogeneously rounds the building, turning over the roof; the covering of the wall is the same as the facade. The massive blocks seem like split huge pieces of a block, simplified to a monolithic stone scrap. MLD46 is a triple luxury villa on the hillside with the most unique panorama of Budapest, located on a very steep spot. All three apartments have their own garden with the same panorama. There are three parking spaces next to each of the three apartments. 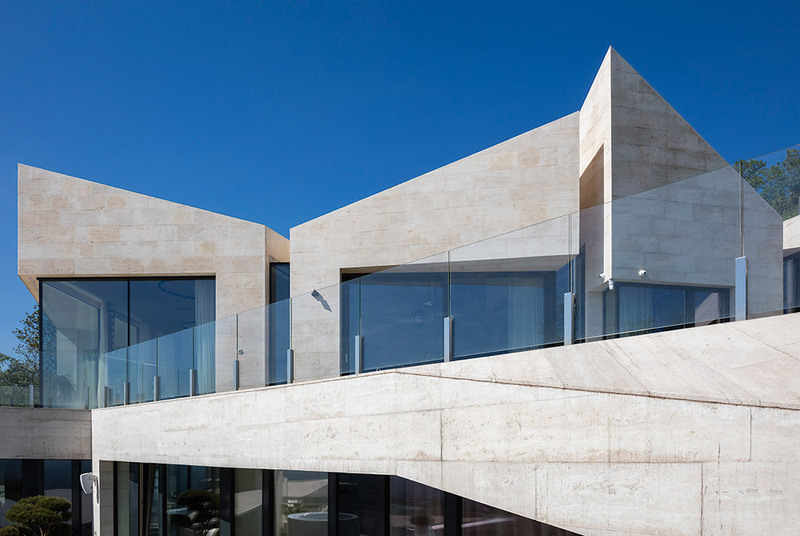 This program is accomplished with an elementally shaped building that invokes a rock assembly that is inserted into a unique landscape. The large glass surfaces and the natural stone paved parts from a local mine (Süttő) creates a play in the form of landscape architecture, which has become the new jewel of the Szabadság hill.